Receive discounts to all the below masterclasses and future Ausdance events, workshops and dance education programs by becoming an Ausdance member! For only $66 (full) or $33 (concession) per year you can join the professional dance network of Ausdance and access a great range of benefits. Join now. This workshop is for emerging to mid-career artists with experience in dance or other movement based practices, including artists currently undertaking tertiary training. Choreographer James Batchelor leads a workshop that explores some of the processes behind his latest creations. Since his involvement as a voyage artist on an expedition to sub-Antarctic Heard and McDonald Islands in 2016, James has been questioning how the body participates in spatial inquiry; how it senses, measures and maps the unknown. Participants should have two to three years of experience in one or more of dance, circus, street forms like parkour or hip hop, traditional or contemporary Indigenous dance, martial arts or other movement based practices. The workshop is also open to actors with some movement experience interested in improvisational movement processes to generate theatre. Marrugeku Co-Artistic Directors Dalisa Pigram and Rachael Swain will share cultural and choreographic processes which underpin Marrugeku’s approach to intercultural contemporary dance theatre. The workshop is open to dancers of all backgrounds, physical theatre performers and actors interested in improvisational movement processes to generate theatre. This workshop is for professional dancers and students in their final year of tertiary training. Lucy Guerin will lead a workshop for professional dancers based on ideas and methodologies that have been employed in current works. Recent interests include purely choreographic and rhythmic dance phrases and improvised material based on narrative, drama and conflict. One is purely physical and experiential, where the other brings different qualities into the body through imagination, emotional states and disruption of familiar patterns. This masterclass is suitable for emerging dancers including artists currently undertaking full-time training. This class led by Thomas E.S. Kelly will provide the tools to develop an acknowledgement of our physical, spatial and spiritual awareness. You will walk, run, jump, dance, sweat, have fun and learn as indigenous thought processes and motifs are fused into a contemporary movement vocabulary. You will be asked to draw energy from the world around you whilst being highly physical. Ausdance Victoria is proud to present the following industry programs at Dance Massive 2019 with the support of our venue partner, Chunky Move. 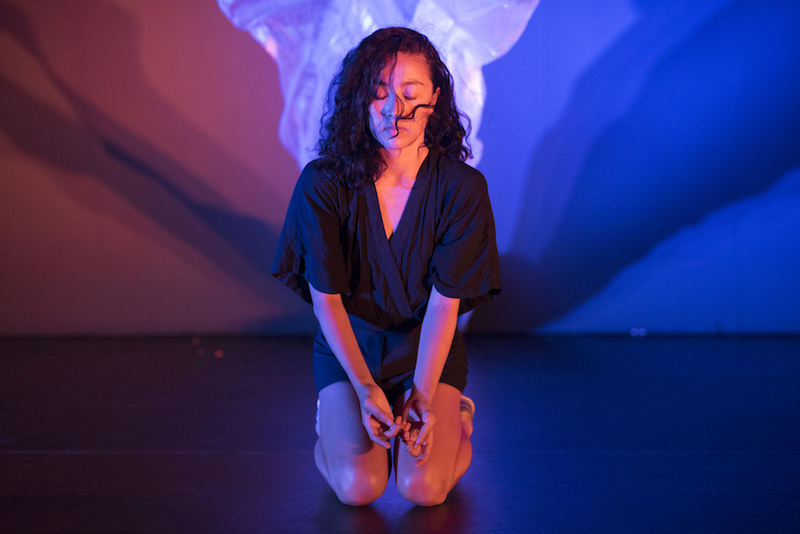 A program of open showings that provides the opportunity for Australian dance artists and choreographers to present a contemporary dance work-in-progress at Chunky Move Studios. Visit the Dance Massive page for info. An exciting opportunity for Australian dance companies and choreographers to pitch their work to national and international producers and presenters. Visit the Dance Massive page for info. Dance Massive 2019 is supported by Creative Victoria and the Australian Government through the Ministry of the Arts and Australia Council for the Arts, its arts funding and advisory body. Dance Massive exists as the simultaneous programming of contemporary dance works and associated public and industry events by three Melbourne arts organisations - Arts House, Dancehouse and Malthouse Theatre in association with long-term associate partner Ausdance Victoria and new associate partners Abbotsford Convent, Temperance Hall and The SUBSTATION.